Despite being illegal for nearly six years, the number of motorists using mobile phones has increased dramatically, casting serious doubt on the effectiveness of enforcement against law-breakers. 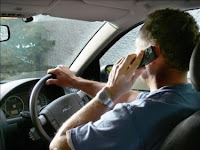 A survey by the RAC revealed 28% of motorists use their phone without a hands free kit. People aged 25-44 were the worst offenders with 13% taking calls when driving and 26% while stationary. Some 46% of those receiving calls claim not to be distracted by this. Last year only 8% admitted to using a mobile without a hands free kit. A further 31% of motorists admit to texting on the road – and 6% while actually driving. Last year 11% of motorists admitted to texting on the road. With internet enabled phones becoming widely available, almost 700,000 motorists have been found surfing the net and check emails while driving. In 2009 drivers ignoring the mobile phone laws caused 31 fatal crashes, 70 crashes where one or more of the people involved were seriously injured and there were 534 casualties in total. In-car distraction, such as mobiles, changing music, drinking and eating, was identified as having led to 65 deaths, 469 serious injuries and a total of 4,763 casualties. Reaction times dramatically slow even whilst using Bluetooth, so it is advisable to not use mobile phones at all. Even if you are using a hands-free set and are found to be not in total control of the car you can still be fined £60 and receive three penalty points.